It’s kind of like Elf on the Shelf! We made these last year after the boys had been building forts out of blankets and clothes pins and I stepped on about 20 clothes pins in bare feet. We kept the little turkeys around because they’re so stinkin’ cute (I’m talking about my boys—but these paper turkeys survived too). 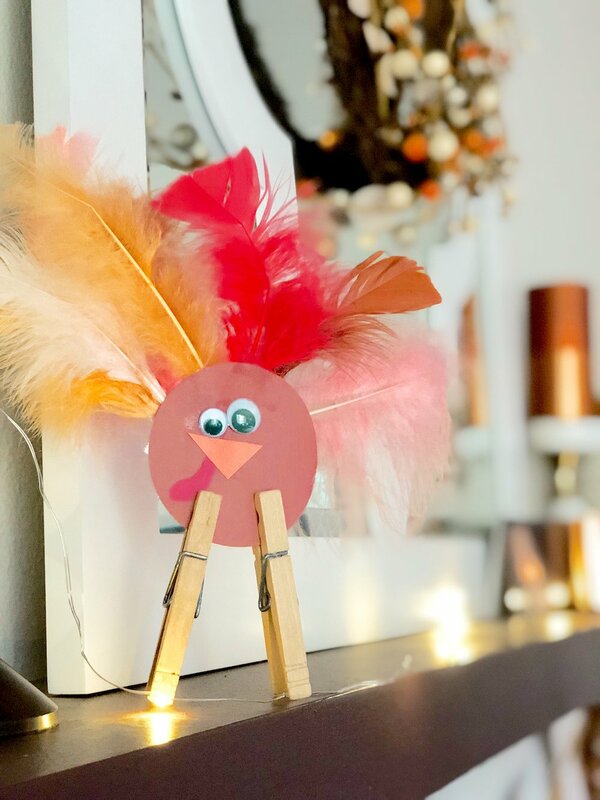 Make your own out of construction paper, clothes pins, feathers and googly eyes!